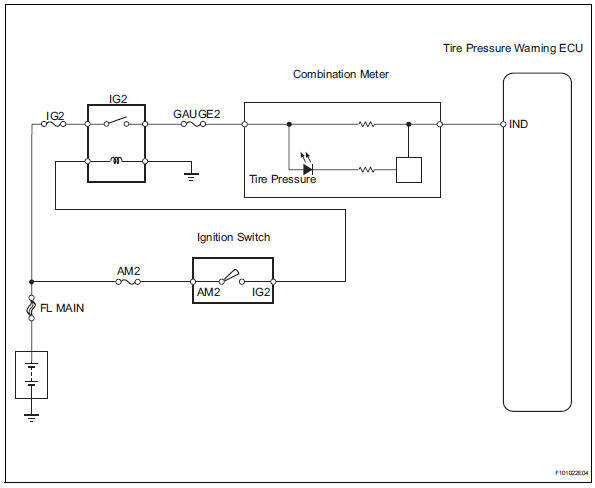 If the tire pressure warning ecu detects trouble, the tire pressure warning light turns on and tire pressure monitor is canceled at the same time. At this time, the ecu records a dtc in memory. 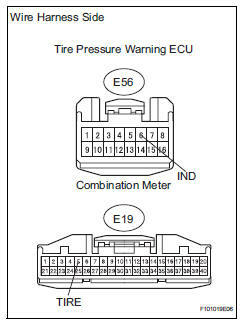 Connect terminals tc and cg of the dlc3 to make the tire pressure warning light blink and output the dtc. Remove the gauge fuse from the instrument panel junction block. 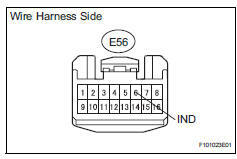 Using a service wire, connect e56-6 (ind) on the wire harness side and body ground. Check that the tire pressure warning light turns on. Ok: tire pressure warning light turns on.